It's finally here - a more convenient way to play Mahjong! No need for heavy and expensive tiles that are hard take with you. Just like tile sets, this deck comes with 156 cards: 3 suites of 36 circles, characters, and bamboo, along with 16 winds, 12 dragons, 8 flowers & seasons, and 12 jokers. 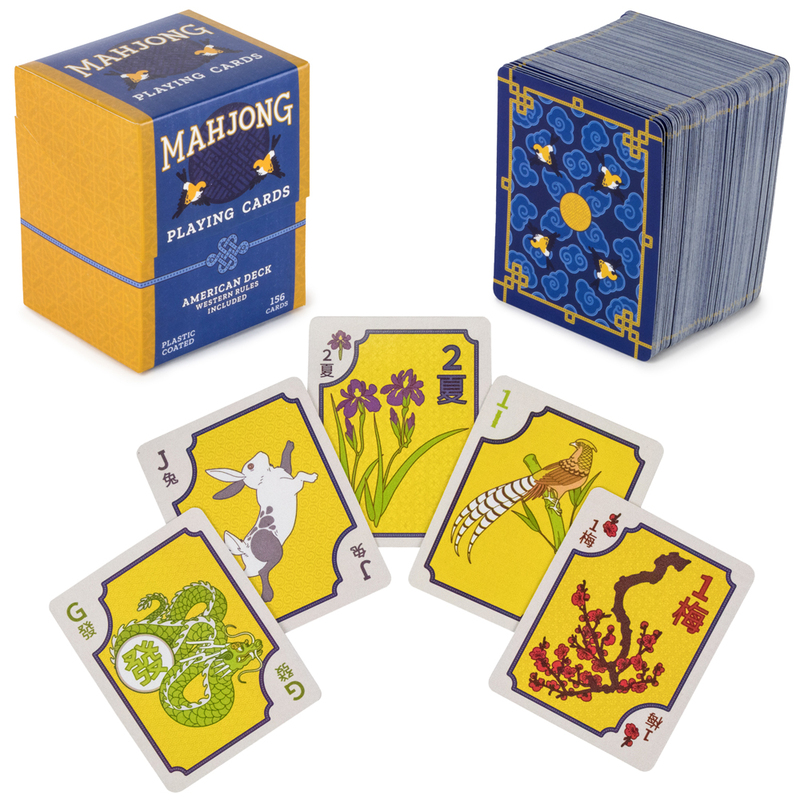 Grab 3 friends and use the whole deck to play the western version or remove the jokers for traditional Chinese game play. Or play solitaire Each deck comes with a set of western rules to walk through everything from set up, to seating, to winning the game - no previous knowledge required. What started off as a Qing Dynasty classic is still a favorite pastime today. 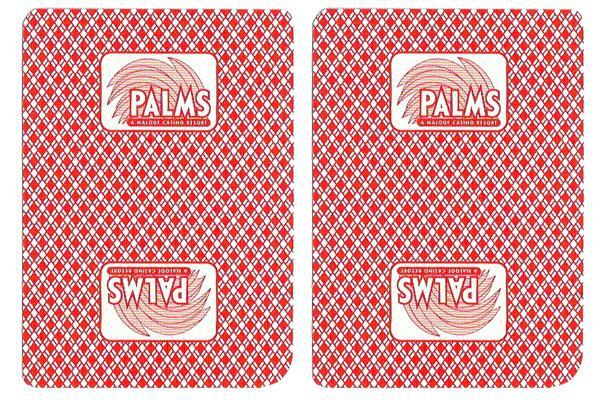 Our cards measure just 2.75" x 2.25" which are the same proportions as the classic tiles. 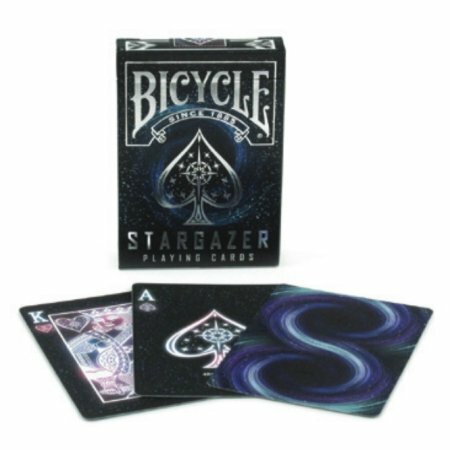 No need for an extra-large table, this small deck will fit on most tables so you can play just about anywhere. It even comes in a 2.75" x 2.5" storage box to easily fit in a backpack, or bookbag, and store conveniently on a game shelf or in a closet. Add in your own fun by playing a game of mahjong solitaire, or tarot card readings. 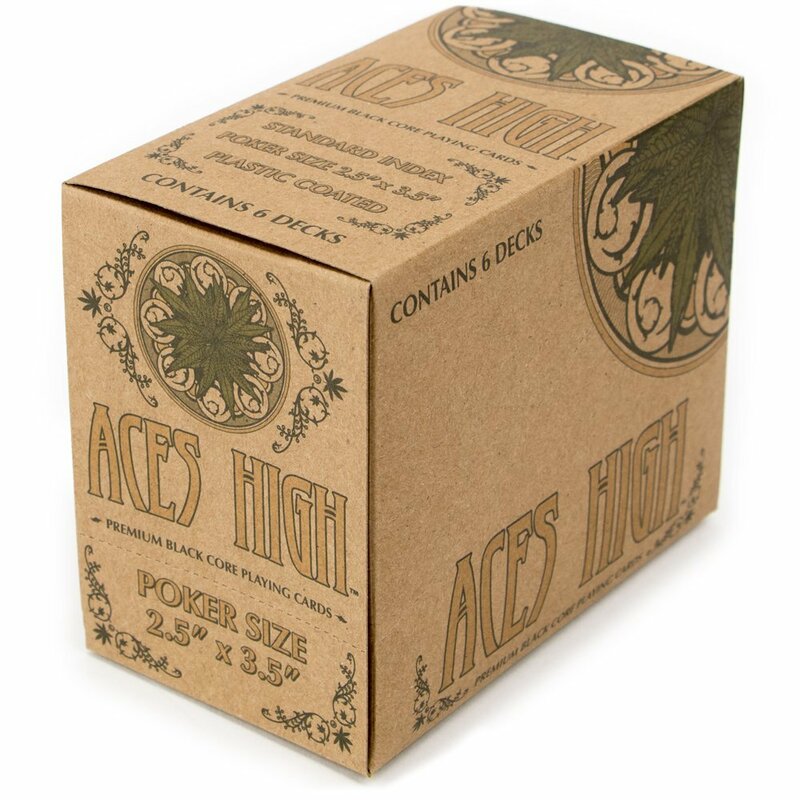 Custom from the ground up, Aces High is our love letter to the devil's lettuce. 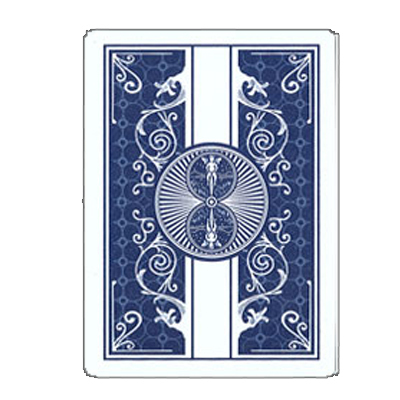 Each classy, grassy green playing card is a visual feast, from the ornate Victorian-Deco cardbacks to the 12 unique face cards and radial pips. We'll be blunt: this deck isn't just a gag gift. Printed on thick, premium 310gsm Black Core card stock and finished with a plastic coating for protection and longevity, these cards play as good as they look. 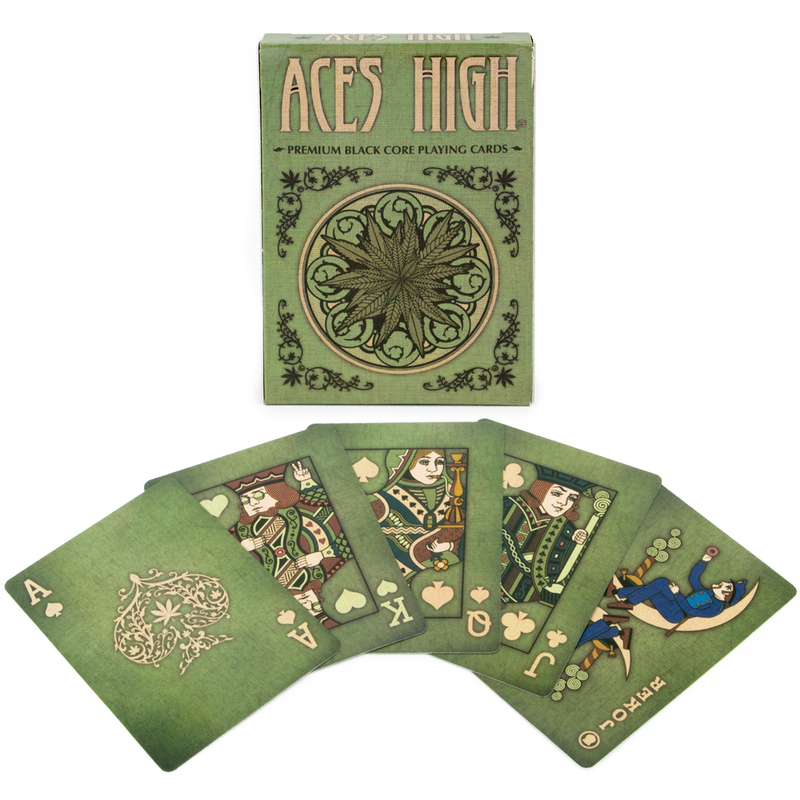 Aces High cards are great for playing card collectors, herb enthusiasts, or regular folks who just like a cool deck of cards. We started the design process by deciding to color the cards a striking, earthy shade of green and a subtle canvas texture. From there, we painstakingly placed in the radial pips on the number cards. But the real jewels in our metaphorical crown are the custom face cards. Each of the 12 court members is rendered in the classic playing card art style, but they all posses a little wink and nod to Mary Jane. You might not notice them if you aren't looking! 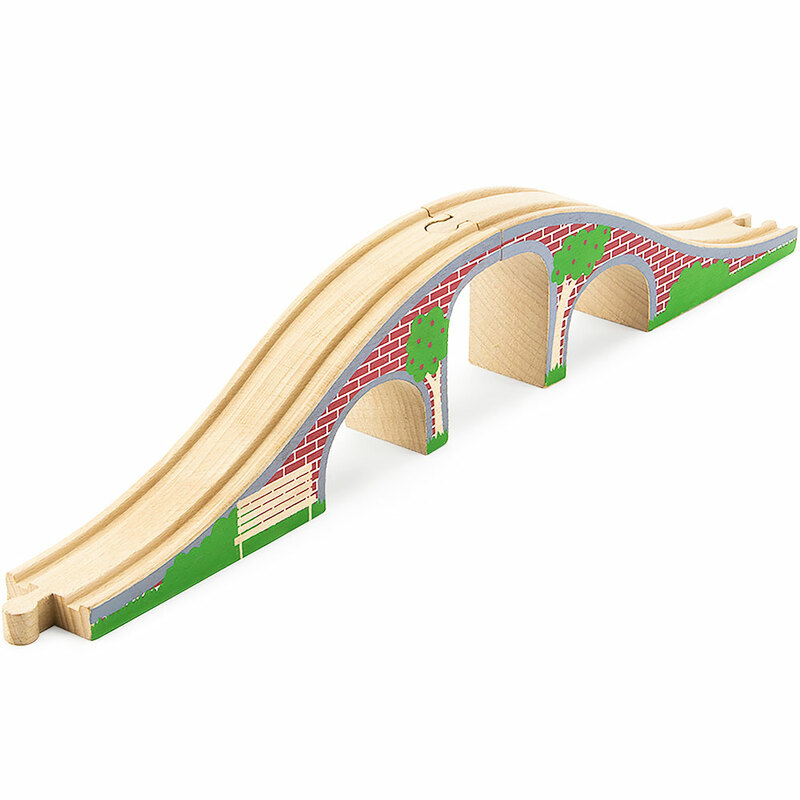 Add a little elevation to your wooden train toolbox. Measuring 18 inches long, our classic red brick bridge makes a showy centerpiece for your favorite track layouts. More pieces, more fun! Hills are tons of fun, and bridges make great figure 8s. 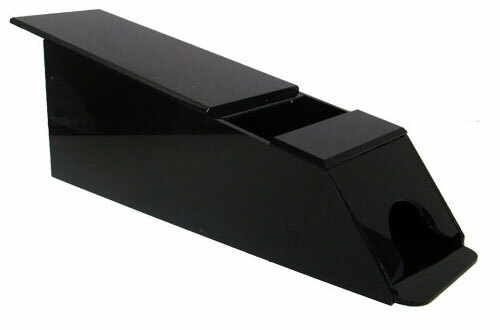 Our safe and sturdy single-piece construction means no loose pegs or choking hazards. Each bridge is cut from solid wood, never plywood for MDF--no glues! Fits just about every major wooden train system. 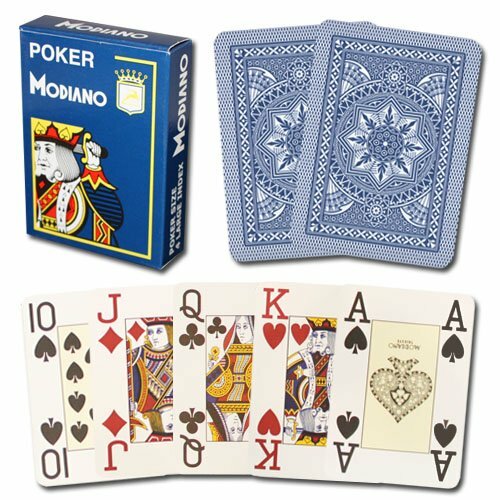 Single deck (dark blue) Modiano Poker Size, 4 PIP Jumbo Index. 100% Plastic. Modiano are thicker than most plastic playing cards and have great texture. 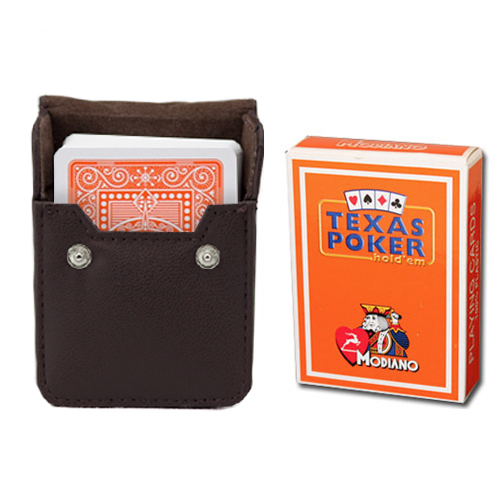 This deluxe playing card package features one single deck of Orange Modiano Texas, Poker-Jumbo cards, along with a leather case. 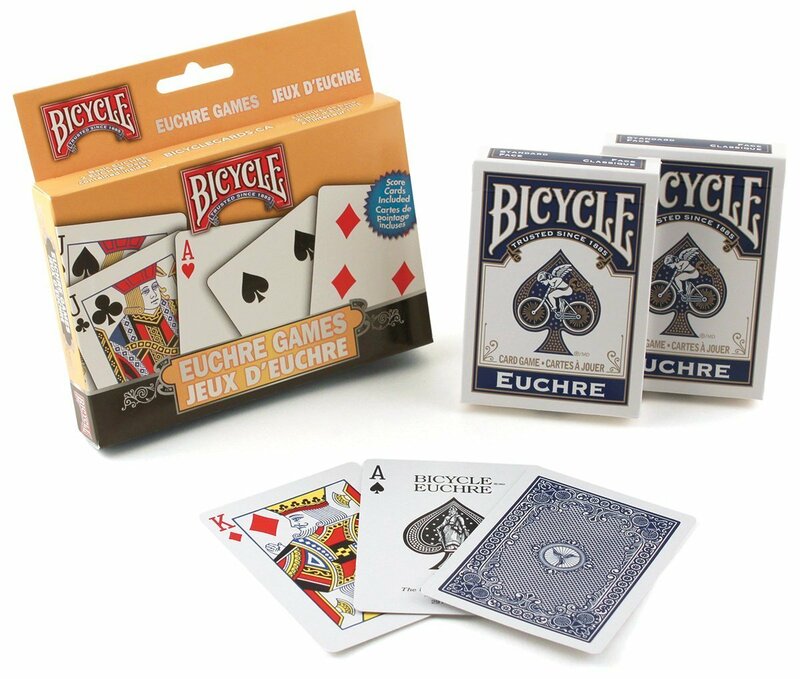 The cards included in this package are 100 percent plastic and made by Modiano. 100 percent plastic cards are typically 20 times as durable as their plastic coated counterparts. Plastic Decks are also waterproof, will not show wear, are resistant of damage and will deal with professional ease. 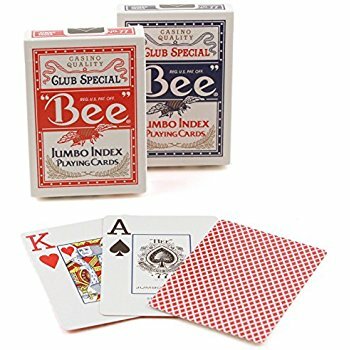 The Texas Poker card has a jumbo index that is ideal for any poker game including that of Texas Poker. 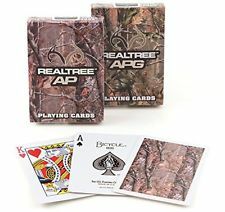 This deck is 100% plastic and is poker size 2.5" x 3.5". When you are done playing, store the cards in style with this leather card case. Made of soft, brown leather with a felt-lined interior, this deluxe case holds one deck of standard playing cards. The case measures approximately 3.75 inches long and 3 inches wide. 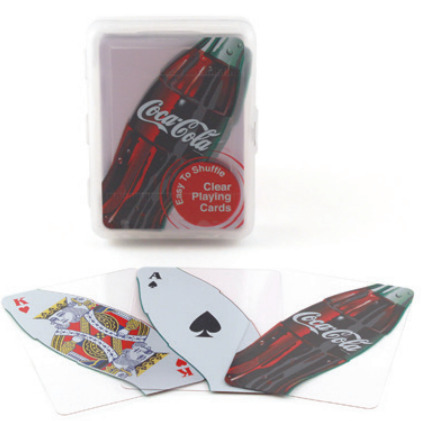 Featuring a two-snap closure, this card case is a must-have accessory for avid card players. Throwback to a more psychedelic time with Aces High: Blacklight. 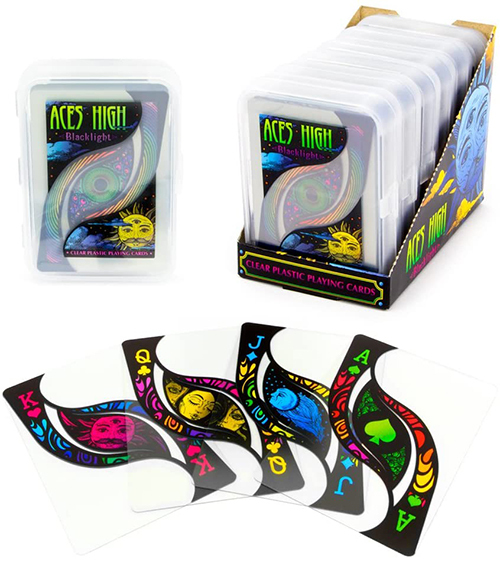 We've got trippy face cards, unique pip patterns, and all-seeing eye cardbacks in every color of the rainbow. 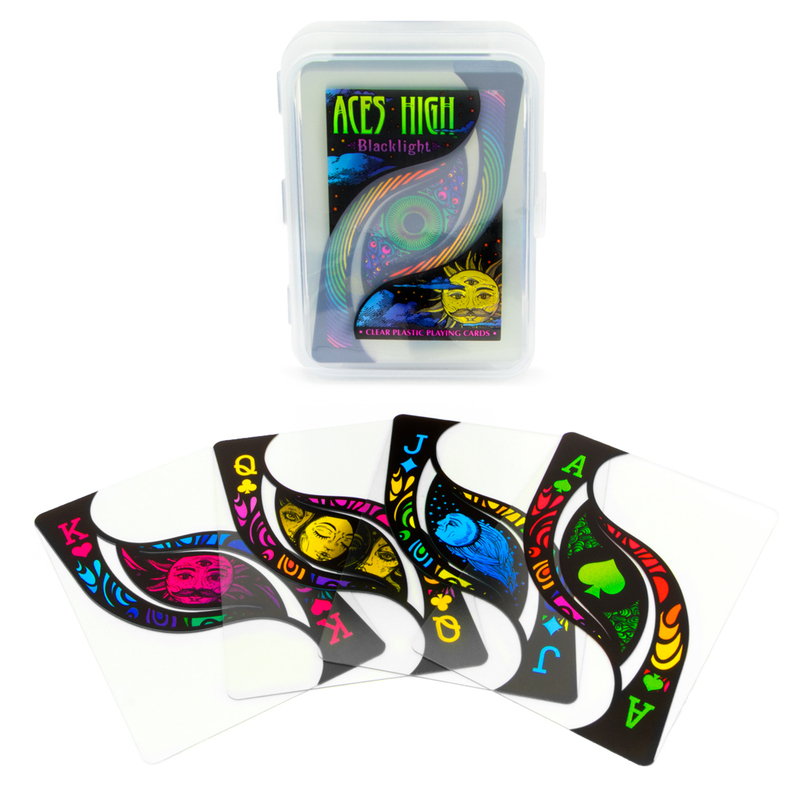 Sure, we've lavished gorgeous and vivacious blacklight poster-inspired (not photosensitive, just inspired) artwork upon this full 54-card deck, but it's not just a display piece. 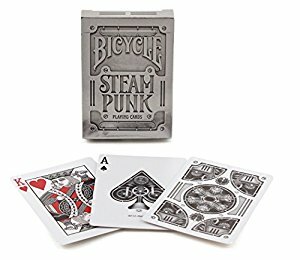 Printed on thick, premium .31mm plastic, these clear playing cards deal, shuffle, and play just as well as your old favorite deck. And unlike standard paper cards, plastic cards last longer, don't crease or tear, and are 100% waterproof. They're great for pool games, hot tubs, or the occasional spill. Even better, each deck arrives in and stores inside a showy, hard plastic display case to protect your investment. 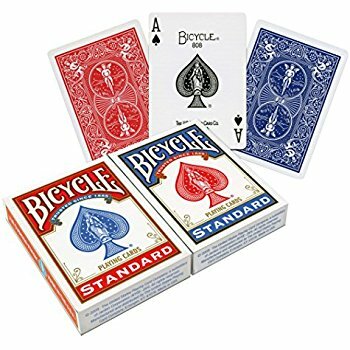 The original trick-taking card game. Throwback to a more psychedelic time with Aces High: Blacklight. Sure, we've lavished gorgeous and vivacious blacklight poster-inspired artwork upon this full 54-card deck, but it's not just a display piece. 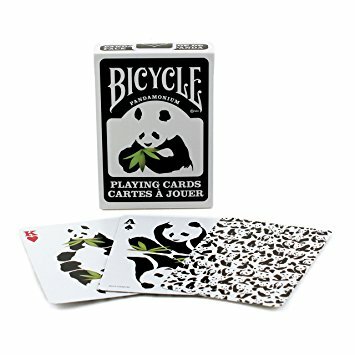 Printed on thick, premium .31mm plastic, these clear playing cards deal, shuffle, and play just as well as your old favorite deck. And unlike standard paper cards, plastic cards last longer, don't crease or tear, and are 100% waterproof. They're great for pool games, hot tubs, or the occasional spill. Why You'll Love It: Most clear plastic cards cut corners and use .25mm plastic that feels flimsy and unsatisfying to shuffle, cut, and play with. Aces High premium PVC is .31mm thick, holds its shape better, and bends with just the right amount of resistance. They're as much of a tactile experience as a visual once. With over 100 hours of design time baked into each deck, our unique, blacklight poster-inspired celestial artwork is a labor of love. From every wrinkle and mustache hair on the sun kings, to every pupil in the sea of eyeballs adorning each cardback. 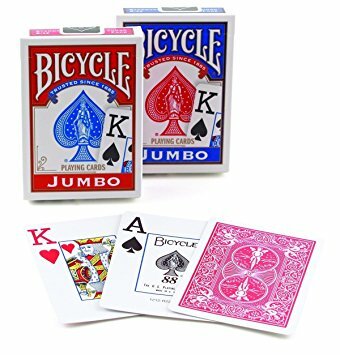 Each 54-card deck comes with two Jokers (one orange monochrome Joker, as well as a full-color "Trump" Joker), has a standard index, and measures 3.5" x 2.5", poker wide. 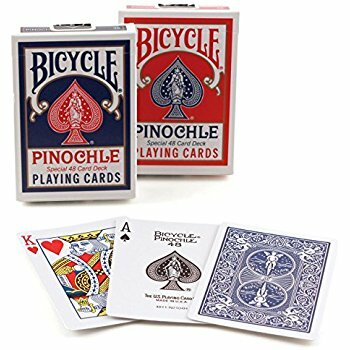 Combine the thrill of the hunt with the strategy of classic table games and you have Bicycle Po-Ke-No. There are 5 ways to play, the only hard part is deciding which one! So when that TV has been on a little too long, break out the family game known for its addictive personality. 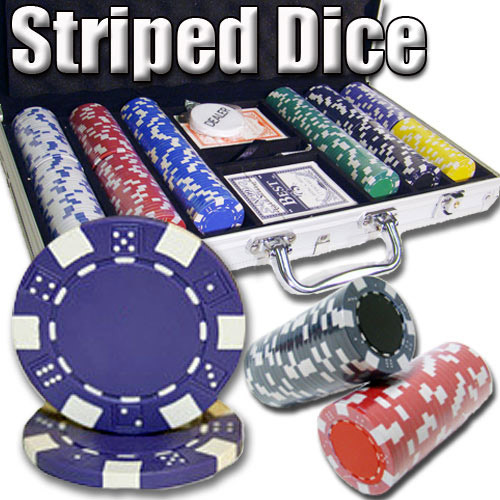 Players can choose the Original Po-Ke-No game, 5-Card, Black Jack, 4-Corner, or Roulette. Children gain listening and sorting skills, where older players can sharpen their poker-playing skills in a whole new light. 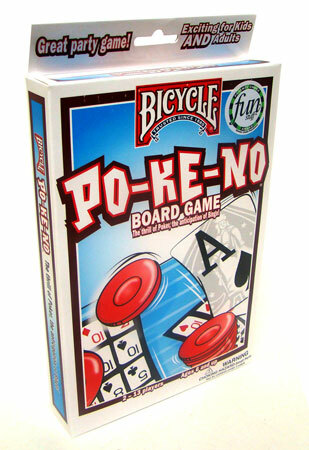 Bicycle Po-Ke-No is a winner of the Fun Stuff Award by Parents' Choice. Each unit has unique boards!! 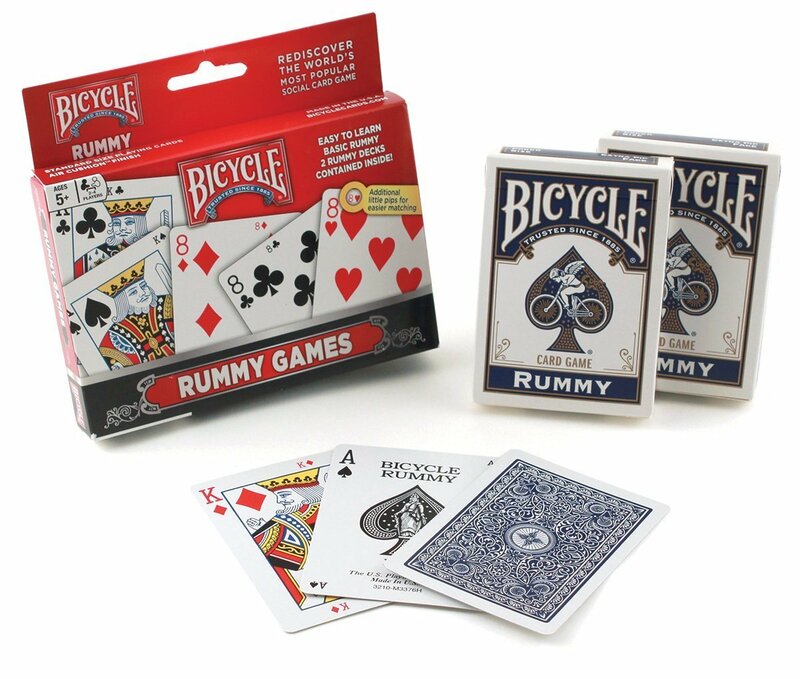 From the maker of AmericaG++s favorite playing cards comes the product to make any poker collection complete. These chips will make your Party guests will feel like they hit the jackpot when they see Poker Chips in play! 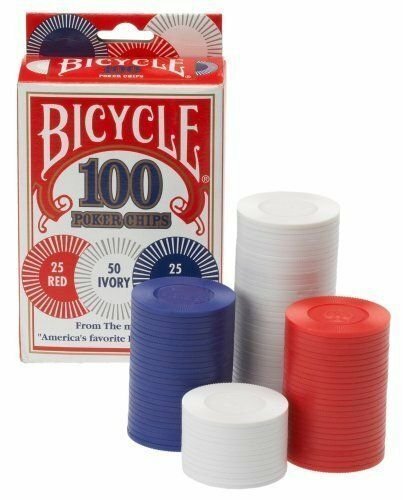 This set of Poker Chips features three different colors G++ blue, red, and white G++ to represent three different denominations of currency. 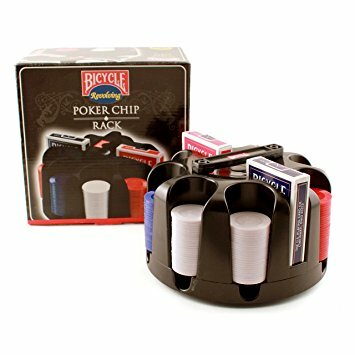 Use a set of Poker Chips at your casino party or Vegas-themed party. 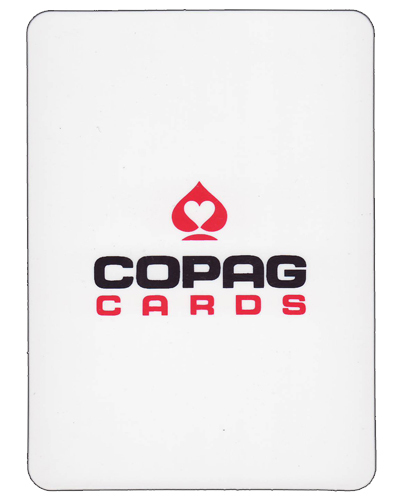 This white Copag Card is Bridge Size (2.25" x 3.5") and is used to cut a card deck and conceal the bottom deck card during play. This is casino grade speed cloth in a Diamond Suit Pattern. 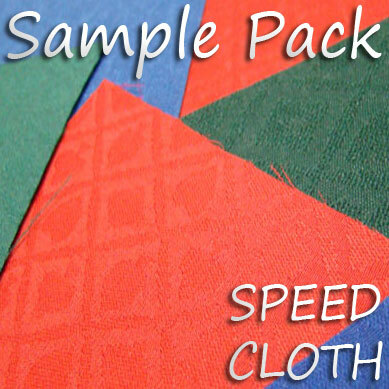 This is a sample pack of our Cotton & 100% Polyester speed cloth. Our speed cloth is used for high quality poker tables and black jack tables. Speed Cloth is the preferred dealing surface for professional dealers. 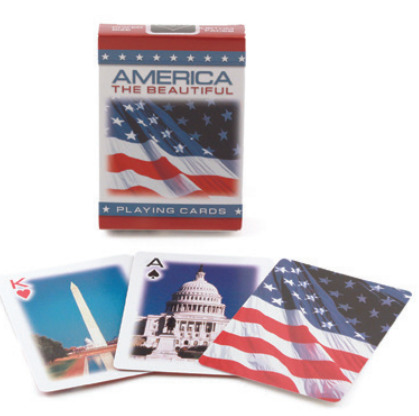 Cards slide with ease when dealing on Speed cloth (especially made from 100% Polyester). 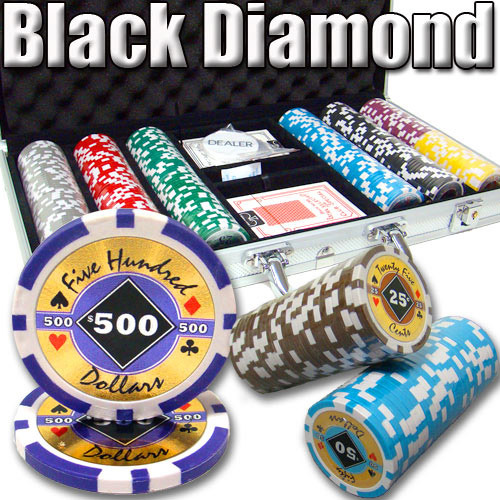 The sharp suited diamond design will give your custom built poker table the look and feel that you have always wanted. You will receive 6 sample slices of the colors available in both 100% Polyester & Cotton. Includes 1 Blue deck. Has the rider back logo in the middle of the card backs. Many professionals prefer the flexibility and durability of plastic cards. 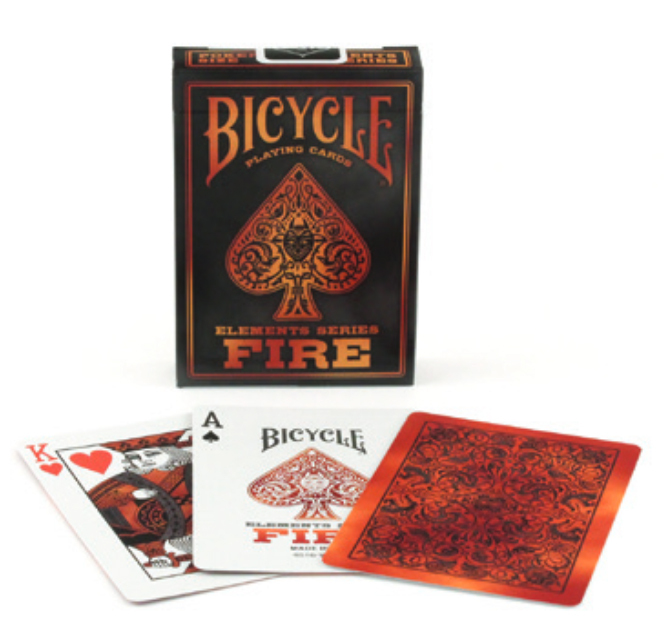 Bicycle Prestige offers unmatched durability and is the only 100% plastic card to offer a paper-like feel. Perfect for a neighborhood game or a professional tournament.